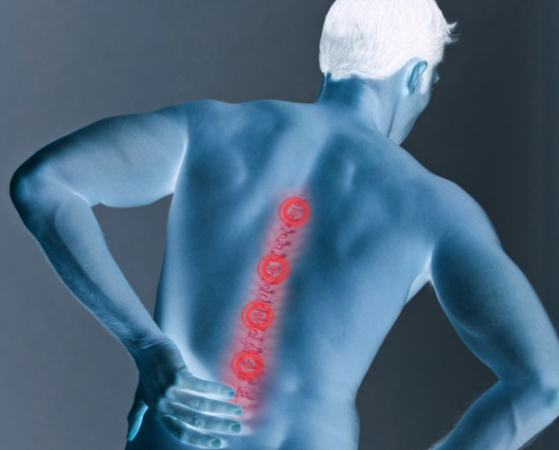 Low back pain or the pain in lower back is one of the most common problems occurring in people of all ages. It is more commonly found in females. The pain in back could range from constant dull aching pain to severe shooting pain causing complete inability to do any work. In this blog we will see the ways of dealing with low back pain. Ice fomentation: When suffering from acute back pain, applying ice on the painful area for some time will relieve the pain. Ice fomentation should be repeated at least 3-4 times a day. Keep the body moving: Some people just lie down on the bed because their back hurts. This is not advisable as this will cause more stiffness of the back muscles and increased stiffness will worsen the back pain. They should keep moving in the house, take a short walk. Constantly lying in the bed will do more harm than good. But it is advisable not to overdo it. One should know one’s limit and do the exercises. Type of bed: The texture of the bed plays a very important role in causing back pain. Some people either use a very soft bed or an extremely hard bed. Both these type of beds are notorious to cause back pain. The ideal kind of bed is the one which is neither too soft nor too hard. It is just right to support the body and the arch of the back. Stretching exercises: In today’s world people live a sedentary life with long hours of sitting in front of the computer. This causes the stiffness of the back in the long run. It is advisable to get up from your chair every 30 minutes, walk for a few steps and stretch your body. Doing stretching exercises and yoga postures under an expert’s guidance is very beneficial for the people who are suffering from the back pain. Avoid wearing high heels: People especially girls who are in habit of wearing very high heels are likely to suffer from low back pain in a long run. Those people who are already suffering from low back pain are advised to wear flat shoes which support the feet properly. eople with protruding tummies are at higher risk of developing back pain. The protruding tummy causing pulling of the back muscles and thus strains them. This causes back pain in overweight people. So it is advisable to lose weight after consulting an expert. Keep your bones healthy: People with Osteoporosis (a bone condition where bone density is reduced due to lack of calcium) and Osteomalacia (softening of bone) are at higher risk of developing back pain. Osteoporosis and Osteomalacia develop due to many reasons but most common reasons for developing these two conditions are calcium deficiency and lack of exercise. One should keep the bones healthy and strong by regularly taking the calcium rich diet like soya beans, soymilk, dark green leafy vegetables like fenugreek, spinach and cheese etc. and by following regular exercise regime.